On July 15, 1983, Lake Powell in southern Utah reached its highest water level in recorded history. Since then, the reservoir has shrunk to 50% of its capacity, and as the water recedes, people are beginning to question whether its purpose outweighs its environmental impact. That question is nothing new. 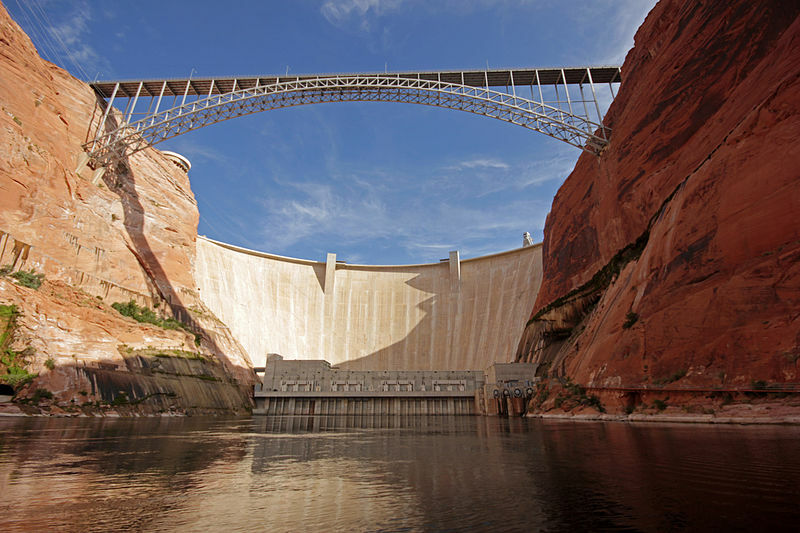 Glen Canyon Dam flooded one of the most beautiful landscapes in the United States; U.S. Bureau of Reclamation’s powerful ex-commissioner, Floyd Dominy, steamrolled the project to completion in 1966 on the promise of agricultural water for the arid west. David Brower of the Sierra Club led the dissent, yet he conceded to the construction of Glen Canyon Dam only after plans for another dam in Echo Park, on the Green River in Utah, were scrapped. Today, the idea of revealing the former glory of Glen Canyon is gaining momentum. 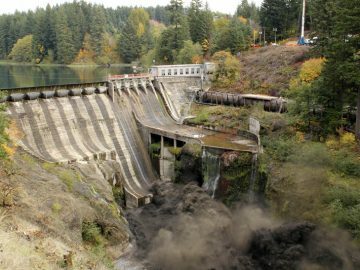 In the past five years, conservationists have successfully decommissioned at least four underperforming dams in the Pacific Northwest, and scientists are observing a rebound in fisheries, an increase in tourism, and river systems are recovering faster than anticipated. Instead of the agricultural oasis Dominy imagined, Lake Powell is now the poster child of the Colorado River Basin’s water crisis. Growing demand, relentless drought, and faster evaporation due to warming temperatures have left the reservoir half empty while its even larger downstream counterpart, Lake Mead (created by the Hoover Dam), is now less than 40% full. Scientists predict that neither will ever fill to their capacity again, and that deeper reservoirs are better suited to combat surface evaporation than vast, shallower ones. So to have the two largest reservoirs in the country connected by the same river presents an opportunity. 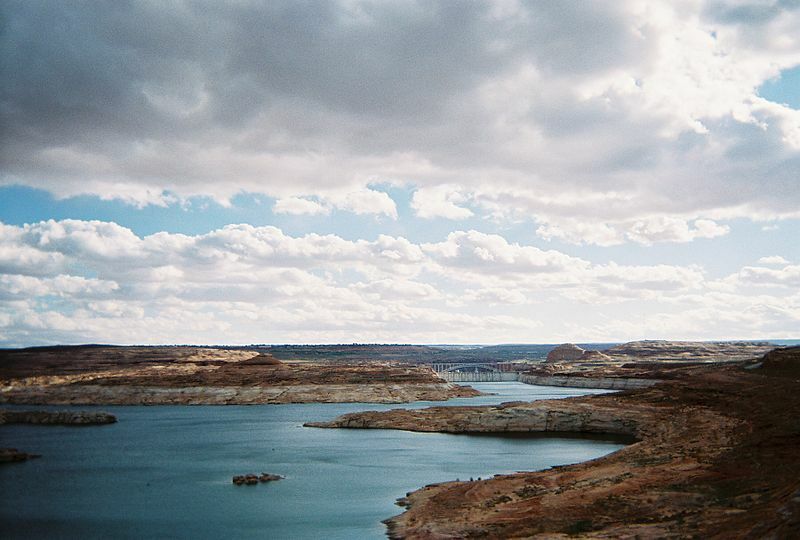 The Glen Canyon Institute, based in Salt Lake City, has put forth a plan that rethinks Colorado River water management. They call their plan: Fill Mead First. Though still in early planning stages, they want to transfer Lake Powell into Lake Mead through a series a dam releases that would eventually reveal Glen Canyon in all its glory once again. 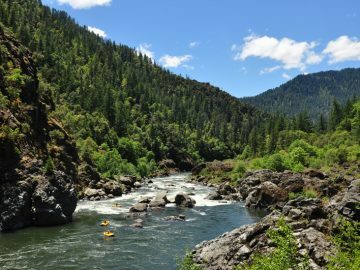 Opponents of Fill Mead First argue that it is a drastic over-reaction to drought, and that despite climatology predictions, there’s a chance both reservoirs will fill again. They also enjoy Lake Powell and appreciate the motorized boating opportunities that draw nearly 3 million people each year. But every November since 2012, the Bureau of Reclamation has experimented with releasing surges from Glen Canyon Dam to simulate flooding events. 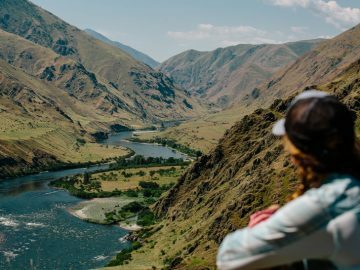 These pulses have helped disperse sediment downriver and improve the ecological health of the river system. It’s the first step in returning the Grand Canyon to its natural cycle. 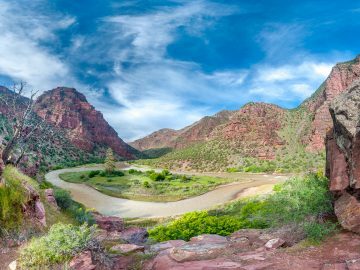 The plan to Fill Mead First would restore the biological heart of the Colorado River, and open access to 186 new river miles in the stunning landscape of twisting canyons, grottos, and spires of America’s first reclaimed national park.